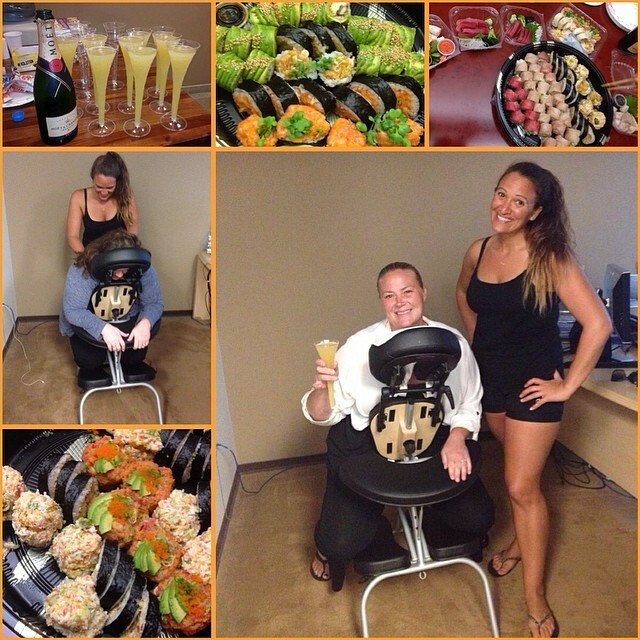 Equis was celebrating Justin’s 5-year anniversary with the company, so massage was provided to all; and we also enjoyed a delicious sushi lunch. Thank you Carrie for this wonderful opportunity! *research taken from body-charge and infinite massage.